The Journal desk by Normann Copenhagen is a spacious table with coloured table top and light steel frame, designed by Simon Legald. The desk with function and a restrained design, allows to be versatile combined in the working area as well as in the living room. Practical details make the Journal Desk to the perfect work table. 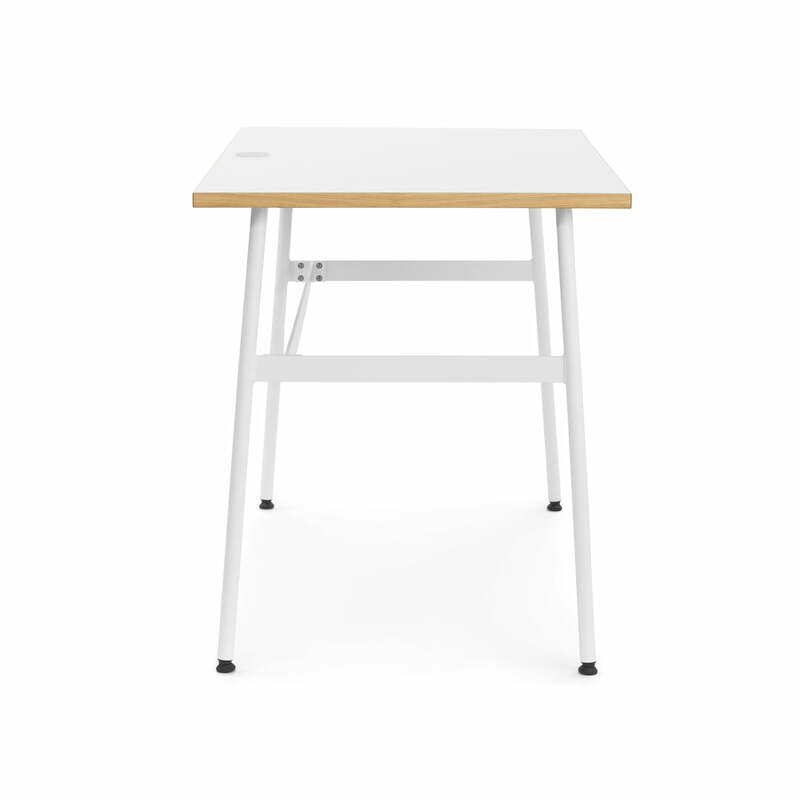 Cable allow to be discreetly lowered thanks to slots on the back of the table and a steel drawer underneath the tabletop provides storage space for writing instruments. The desk has enough room for everything needed for a creative work and is designed, so that it takes as little space as possible in the room. The Journal desk of Simon Legald for Normann Copenhagen consists of a laminated table top with different colours and legs made of powder-coated steel. 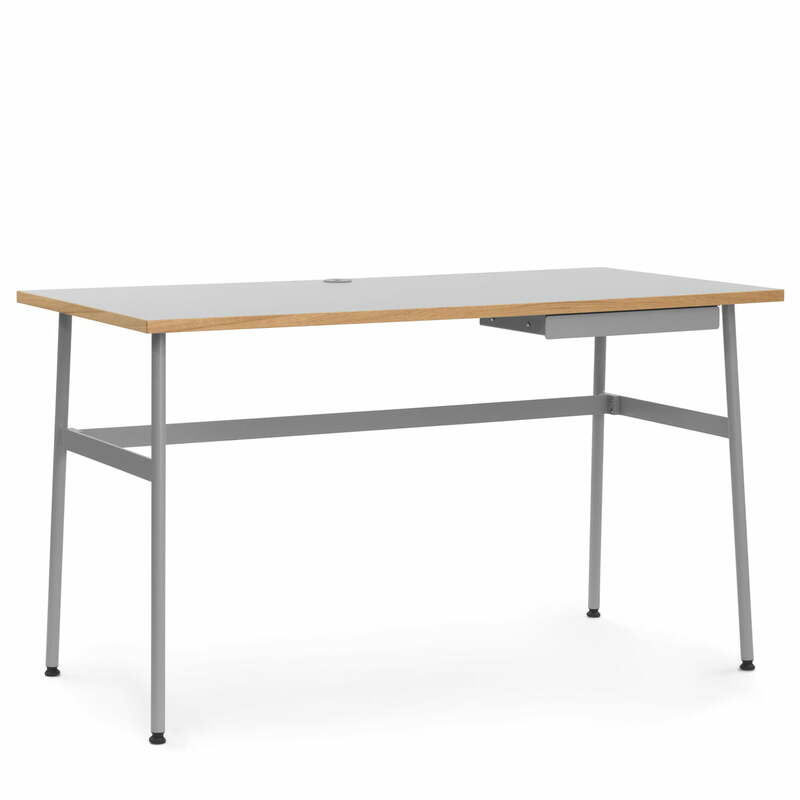 Individual image of the Journal Desk by the manufacturer Normann Copenhagen in grey. The design to the shapely and functional desk came from Simon Legald. 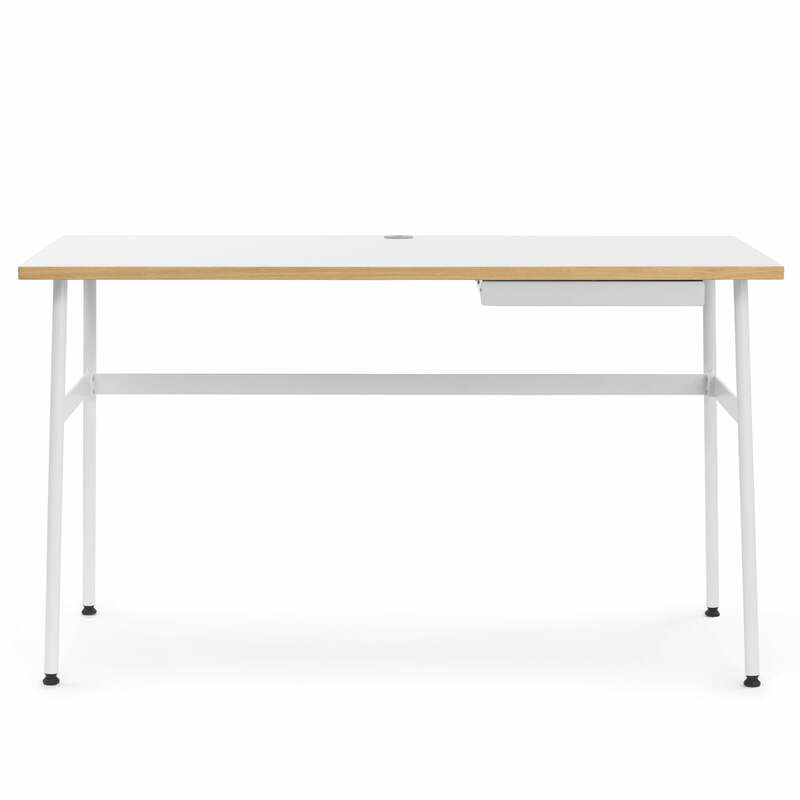 The Journal Desk by Normann Copenhagen has enough room for everything needed for a creative work and is designed, so that it takes as little space as possible in the room. 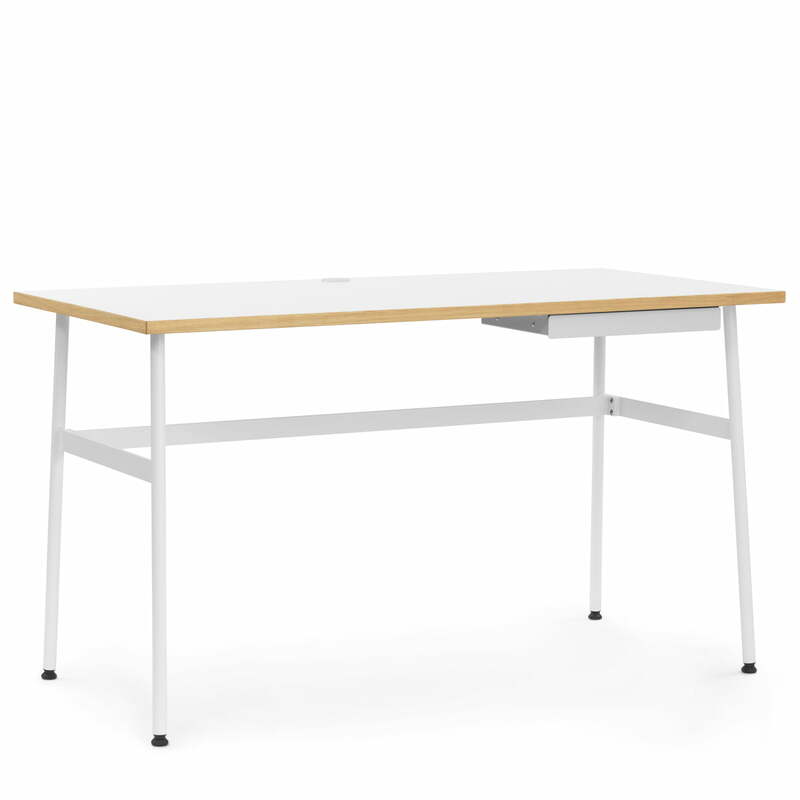 Cable allow to be discreetly lowered thanks to slots on the back of the table and a steel drawer underneath the tabletop provides storage space for writing instruments. 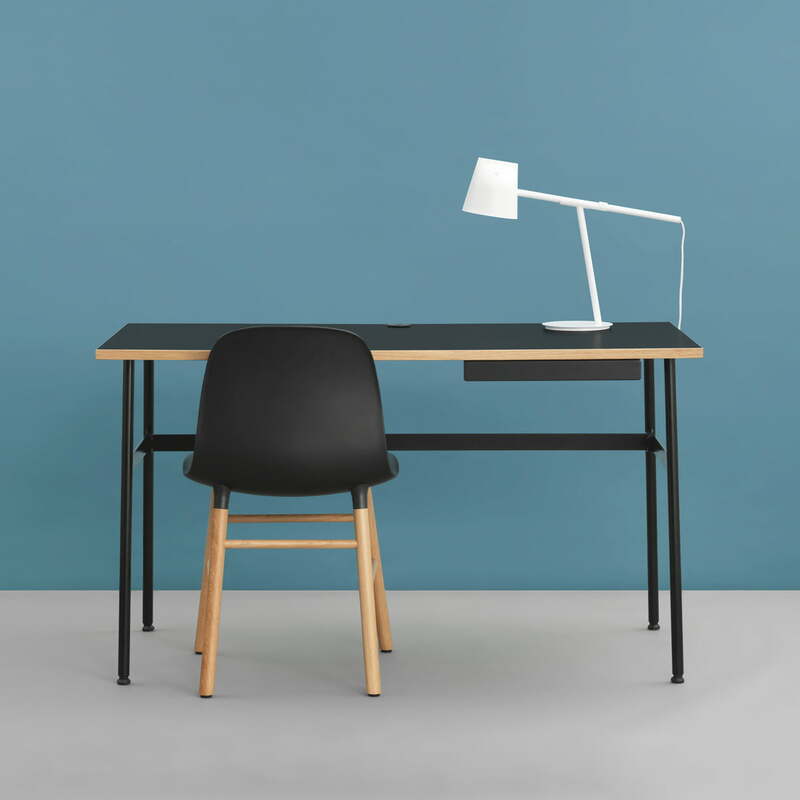 The Journal desk by Normann Copenhagen in black, the Form Chair in black and oak and the Momento table lamp in white together form a modern workspace. 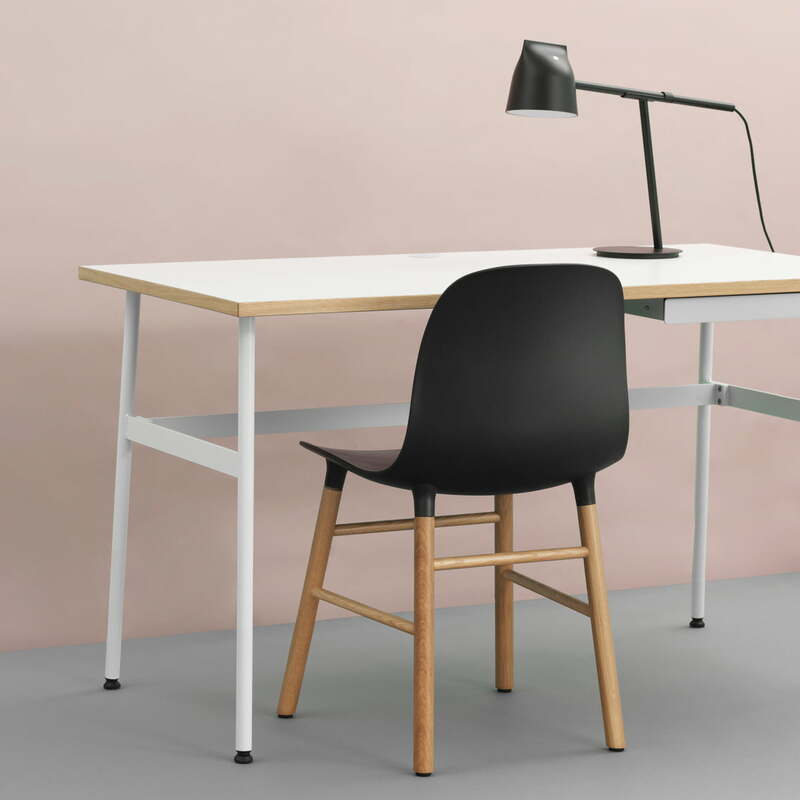 The Momento table lamp, the Form Chair Wood legs in black and the Journal Desk in white by the label Normann Copenhagen create a creative working environment.